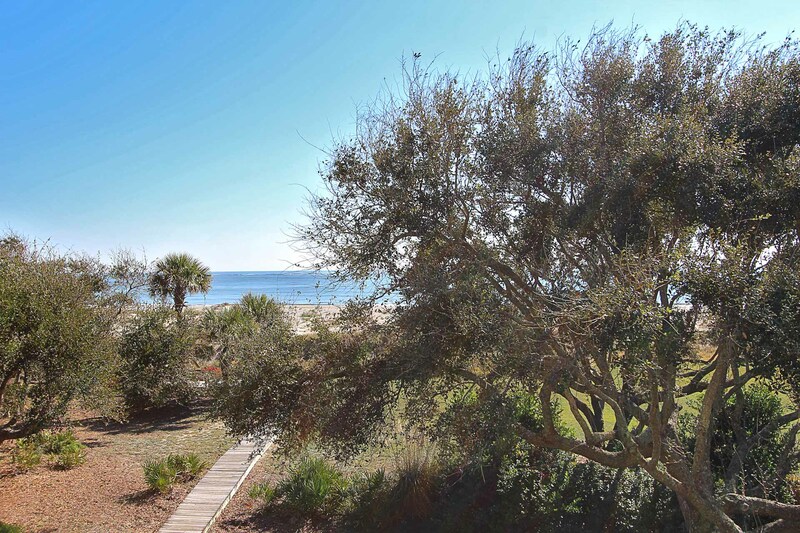 An unforgettable Lowcountry getaway waits for you at this vibrant two bedroom, two bath oceanfront condominium settled against a lush landscape with Atlantic views. 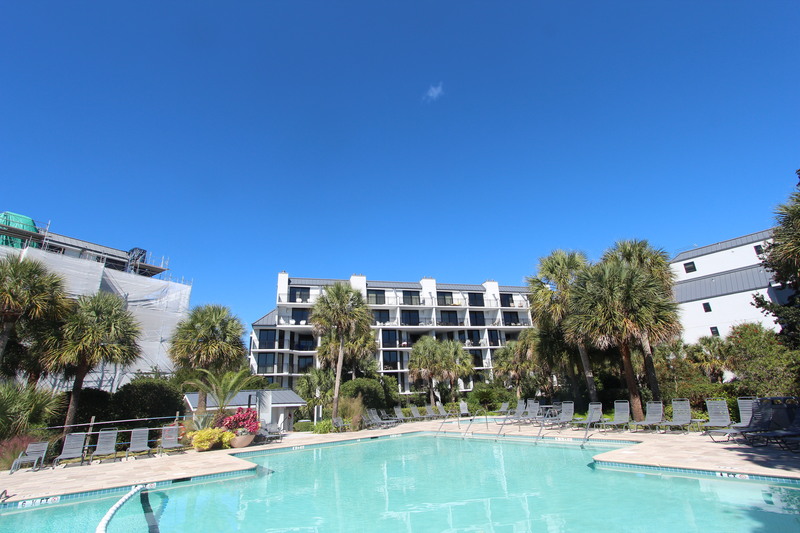 Dazzling coastal hues, quality furnishings, and direct access to the beach and Shipwatch pool ensure a relaxing atmosphere filled with all of the perks of an ideal beach vacation. 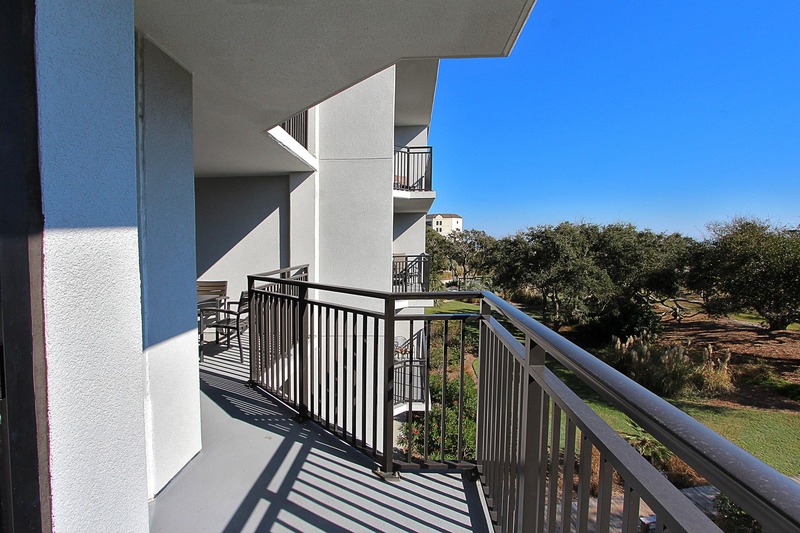 Enjoy upgraded features including stainless steel kitchen appliances, tile flooring throughout the common rooms, and a furnished ocean-facing balcony adjoining the living room and master bedroom. The living room offers cozy seating and bright decor with window views of the ocean. Two bedrooms, a master with a king bed and a second bedroom with two twin beds, lend sleeping accommodations for up to four guests. Take pleasure in the convenience of resort life and indulge yourself at this stylish South Carolina rental. Bedroom Two: King bed; Private full bath; flat screen TV, direct access to balcony. Dining room seats 6 with additional seating for 4 at bar. Living room has a flat screen TV. *This is a Sunday-Sunday rental from 6/2/19 to 8/25/19; 3 night minimum in off season* Please note that there is a strict 2 vehicle capacity per unit. Weather was cooler than we expected but beach was still great! Area is convenient and quiet. Property could have been cleaner. Floors were dirty. Bed was comfy but linens were old and worn making them feel dirty. Coffee pot lid was broken and microwave plate did not fit making foods not cook evenly because it would not rotate. Trees block ocean view. Condo was perfect for our needs. Clean, convenient and great ocean views. Elevator access was also a plus. Did take a little while to figure out the internet access, but once we did it was fine. Great location. Condo was nice, fairly clean for a vacation condo. Well equipped kitchen. We booked our trip last minute and didn't have many options. This place was great! It had everything we needed. I would recommend to others. 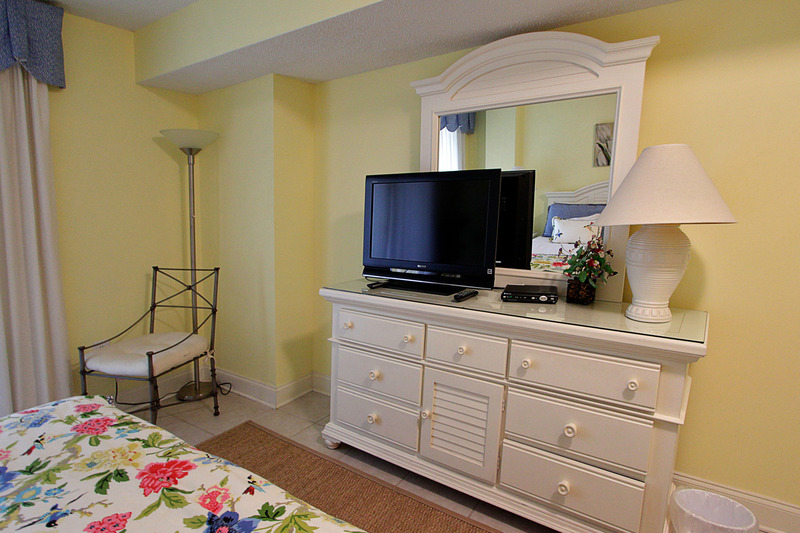 We had a wonderful stay in this 2 bedroom apartment facing the water. All appliances, linens, kitchen needs were included. We watched Wimbledon in the morning and would suggest that the tv in the living room may need a slight adjustment in clarity. Loved Wild Dunes and would definitely return. Our family had been vacation on IOP for over 25 years now. 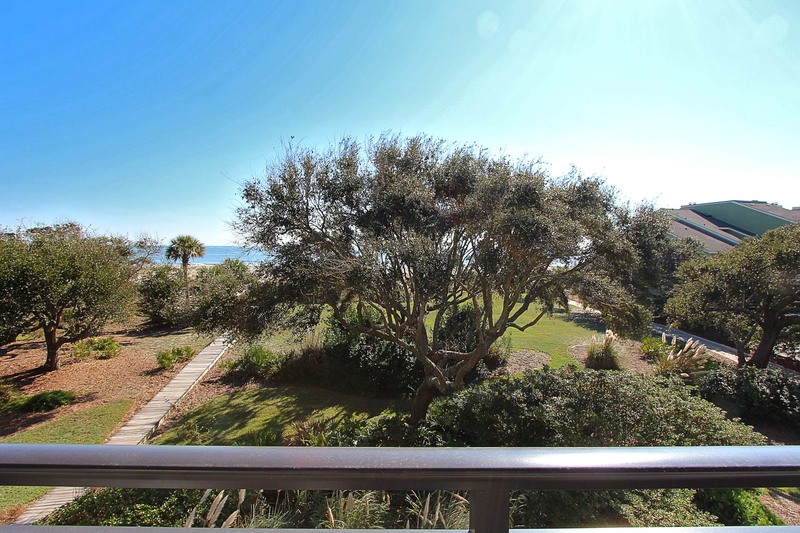 We enjoy the close proximity to Charleston and Mt. Peaseant. Our stay at Shipwatch was enjoyable. The accomatitations were great. Everything was clean. The only problem was the insects. If you went out after dusk you were eaten alive. We tried bug sprays but nothing worked well. The pool area was beautiful but you couldn’t go for the bugs. I really appreciated the location and having an elevator for my mom who is 101. The unit was very well laid out and quiet. It's on a great flight plan to see the brown pelicans. nice,but no cell phonereception in condo. I travelled alone with two kids ages 7 and 4. We stayed at Shipwatch and had a great time. The convenience of the beach and the pool were terrific. Parking was ample and easy and made it easy to get around. The pool was terrific and the kids made lots of new friends each day playing. There is also a small kiddie pool for little ones. The property is just a few minutes from the supermarket and all the things you may want to do on the island. The unit was clean and well kept. The hotel-touch of free soaps and basic kitchen items as well as a full assortment of dishes, silverware and pots and pans were perfect. My only complaint was the lack of late checkout which forced us to give up a Morning by the pool. 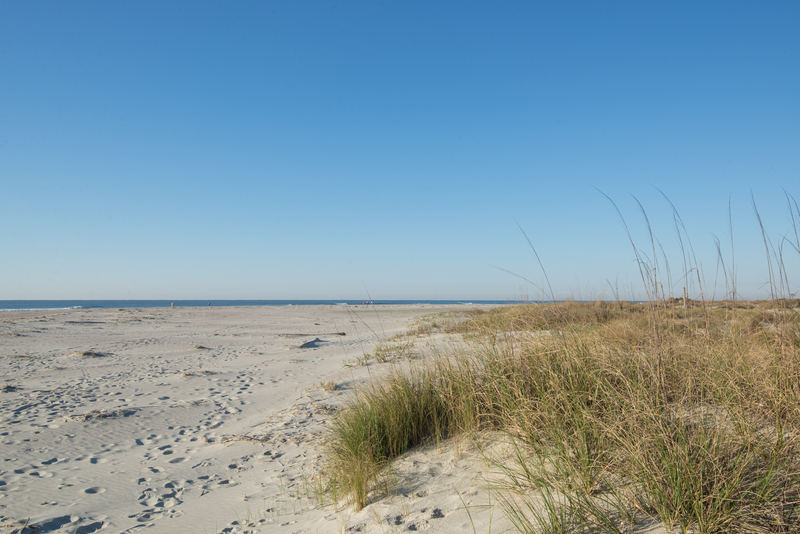 We loved the location and had a great time on Isle of Palms and the surrounding islands. Our only issue was with the cleanliness of the condo; some of the bedding was stained, the silverware and cooking utensils had food stuck to them and there were some giant dust bunnies stuck to the rug under the dining room table. I wish we could go back! It was a fantastic week staying at the condo Shipwatch 204A. We found this condo to be beautifully decorated and comfortable. Also, the balcony view was nice, and hearing the ocean was so relaxing. When we first arrived, we found some minor problems, but they were addressed and fixed rapidly. It seemed that the maintence man and the cleaning ladies really cared about our being happy there. We were treated like valuable customers. Also, we really enjoyed the other guests at the pool and on the beautiful beach. It seemed like there were so many nice folks enjoying their vacation time too. All in all, it was an exceptional vacation. 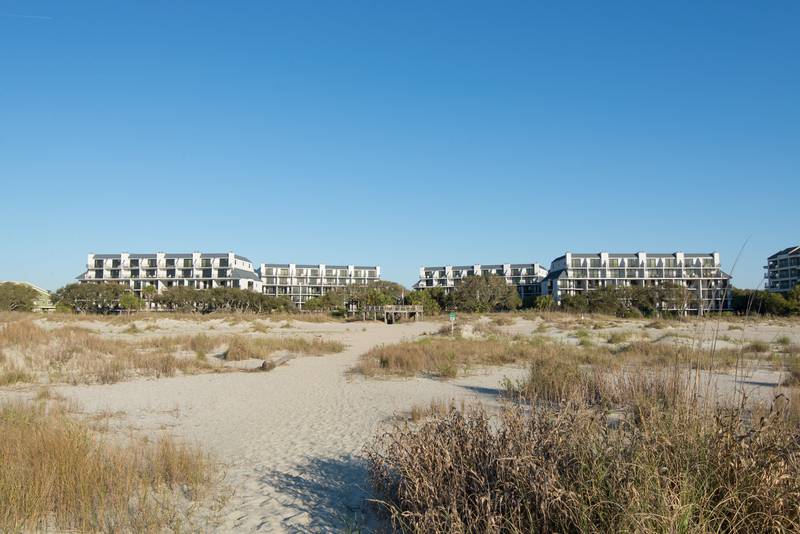 Thanks to Island Realty and Wild Dunes, IOP!